Callum Hawkins of Scotland is given assistance as he collapses in the Men's marathon on day 11 of the Gold Coast 2018 Commonwealth Games at Southport Broadwater Parklands on April 15, 2018 on the Gold Coast, Australia. GOLD COAST, Australia (CNN) - With just two kilometers to go to the finish line, Scotland's Callum Hawkins was set for a remarkable Commonwealth Games gold. 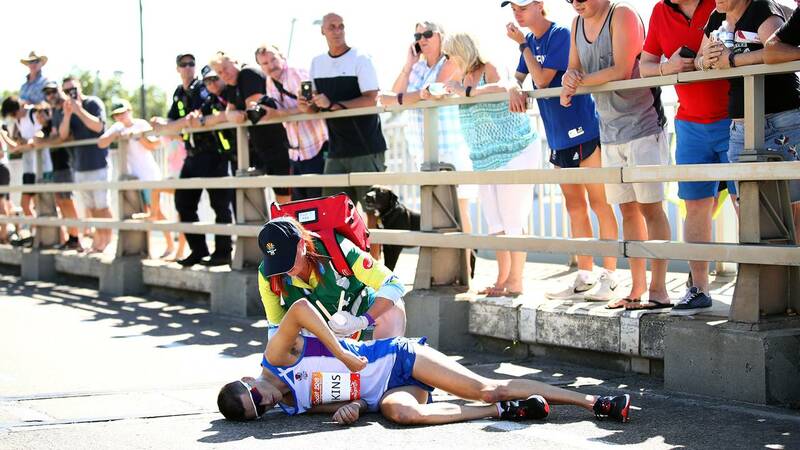 But in a harrowing conclusion to the men's marathon, the athlete collapsed towards the end of the race on a scorching day in the east coast of Australia. The 25-year-old had a two minute lead when he started to weave on the road before falling over a curb. The Scotsman got back on his feet and continued racing before collapsing again, this time hitting his head on a roadside barrier. Temperatures were said to be around 28 degrees Celsius during the race, held in the Gold Coast, south of Brisbane. Hawkins regained conscious and was able to sit up while still at the scene of his collapse. He was later taken to hospital in an ambulance. In a statement, Team Scotland said: "Callum has been taken to hospital for medical review following his collapse as is standard procedure. We are pleased to report he is sitting up and speaking with his dad and Team Scotland medical staff. He is undergoing further tests as a precaution and we all wish him a speedy recovery." Hawkins was left unattended for several minutes, much to the dismay of commentators, reporters and viewers. Commentating on the race, BBC's chief athletics correspondent Steve Cram said it was a "disgrace" that it took so long for paramedics to attend to Hawkins. Ron Lewis, athletics correspondent for British newspaper The Times, tweeted: "How pathetic are the Commonwealth Games organizers? Callum Hawkins should be in an ambulance and he's lying flat on the road." Medical staff were posted at 500 meter intervals in the final kilometers of the course and all had radio communications, according to Games organizers GOLDOC. There are also strict rules around accepting medical help with athletes facing potential disqualification if they are assisted. Mark Peters, GOLDOC's chief executive, said in a statement: "I, like many others, was distressed to see a wonderful athlete like Callum collapse during the closing stages. We are offering every assistance possible to Callum and Team Scotland." 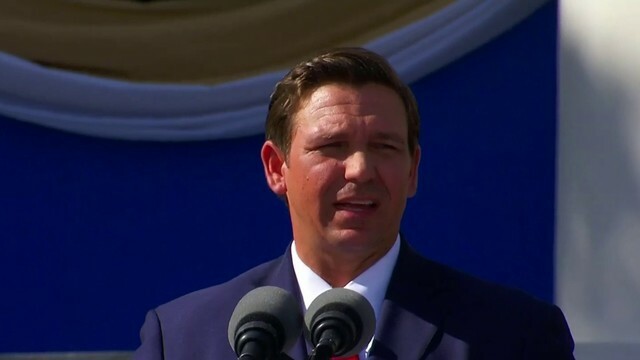 Peters went on to defend the actions of the event's medical team, adding that GOLDOC had a wide range of measures in place to ensure athlete welfare. "The response of medical staff this morning was within agreed response guidelines and timeframes," said the statement. "I was also concerned about the behavior of a small number of bystanders who chose to take images. This is not in keeping with the spirit of GC2018." Hawkins was not the only athlete to suffer in brutal conditions. Seven of the 24 starters did not complete the race, with Tanzania's Stephano Huche Gwandu put in a wheelchair after falling as he crossed the line. The marathon was eventually won by Australia's Mike Shelley in two hours, 16 minutes, 46 seconds. On passing the distressed Hawkins, defending champion Shelley told reporters: "I wasn't sure what was going on. I had a couple of mates around Main Beach who said Callum was in a bit of trouble. They told me to keep going and gave me encouragement." "I saw him (Callum) on the Sundale Bridge and ... just tried to hang on. When I was coming down the home straight I tried to accelerate, but I was just gone." "I thought hopefully I can get to the finish line because I was starting to get cramps in my hands." Uganda's Munyo Solomon Mutai took silver, while Scotland's Robbie Simpson picked up the bronze. The women's race was won by Namibia's Helalia Johannes, while Australia enjoyed double success in the wheelchair marathon races with Madison de Rozario and Kurt Fearnley taking gold in the women's and men's T54 respectively.